"I played most heavily during junior high shool and the beginning of high school." Daigo: There are some points I think should be changed to make the game even more fun though, it's so fun for me to have a lot of players anyway. Quite a lot of players came from other games. Bun-Bun-Maru: As you've said, you enjoy the circumstance surrounding the game? Daigo: Yeah. I enjoy the game including it. Toyoizumi3kyodai: There are players who had quite fighting games and made returns with SF IV. Daigo: Yes. There are a lot of players who have quite games onece and made returns with SF IV. I'm one of those players. Bun-Bun-Maru: Capcom didn't release new fighting games for quite a while. People even used to say "they will no longer release new fighting game." Kitaguchi-Toho-2hun: How long did it take for SF IV to be released since the previous one? 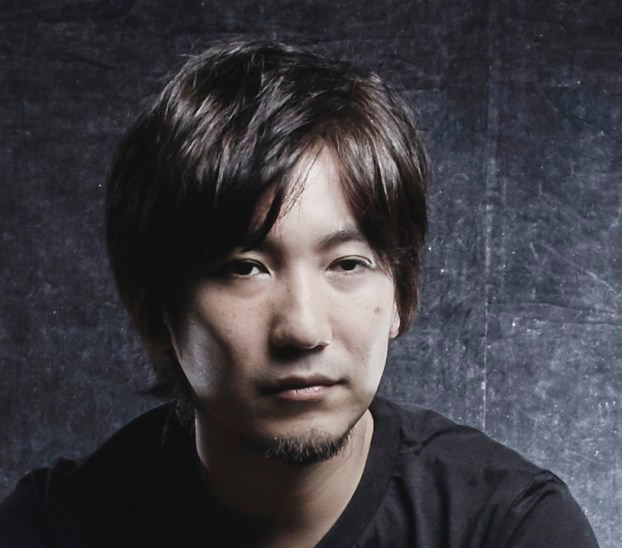 Daigo: We had Capcom Fighting Evolution(*) after CvS 2, but that was not very popular... Excluding that, I think it took about eight years. * As Capcom Fighting Jam, it was released in Japan in 2004. Bun-Bun-Maru: We had Guilty Gear series as well, but it was difficult to play in a different way. Daigo: Right. But I think it was well-created. Toyoizumi3kyodai: Speaking of which, I didn't play fighting games much for a period after CvS 2. Daigo: Actually, I didn't play at all. (**) But I can play SF II smoothly at any time even if I didn't play at all. So I was sometimes asked by SF II players to play them in order for them to practice anti-Ryu. I competed in Capcom Fighting Evolution at Tougeki '05, but I just started playing it about two months before the tournament and quit it after the tournament finished. ** I know my translation here doesn't make sense, but the original sentenses also don't make sense. So I translated as it is. Bun-Bun-Maru might ask here about SF IV. Bun-Bun-Maru: Like only playing just before Tougeki? Daigo: Well, yes. So I didn't plan to play SF IV at first. My fellows asked "you're gonna play, aren't you?" but I said "No, I'm not." A friend of mine still invited me to play, saying "this is the long-awaited one, and now that the card system(***) is available for the game," and I was like "hmmmm... ok, just a little bit..." And I restarted playing fighting games after so long, but I could win a lot more than I'd expected and enjoyed... and I found myself competing in a lot of tournaments. Like "Oh? I play pretty much." *** Nesys card system, by which players can see their BP and PP. Bun-Bun-Maru: Before you quite fighting games once, when did you play most heavily? Daigo: Let me see... firstly, I was majorly motivated when I found SF II. But I played less as I had less money. I played most heavily during junior high shool and the beginning of high school. If I turn it into a line graph, it'd go up since elementary school... then hit the peak at the eighth grade, and stayed until the 11th grade. I played extremely heavily during that period. Then it'd gradually go down... That being said, I played pretty heavily until CvS 2. That was at Tougeki '04, and... in like Guilty Gear X2 #Reload, I spent considerably less time in playing games. I spent considerable time in playing Guilty Gear X2 vanilla though... I quit playing fighting games once when I was about 23 years old. And I restarted when I was 28 years old, so I didn't play fighting games for five or six years. Bun-Bun-Maru: Did you work then? Daigo: Of course, I did. Bun-Bun-Maru: When did you start working? When you were about 20 years old? 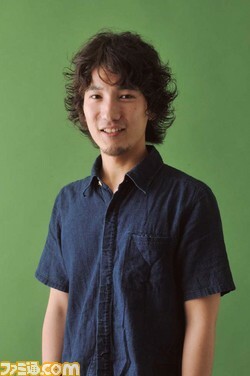 Daigo: I was working as a part-timer when I was about 20 years old. When I quit fighting games, I was working at a restaurant or a Mahjongg palor(****). But I stopped working when I was about 28 years old. Just then, SF IV was released and, as having nothing to do, I tried it. During the period when I didn't play fighting games, I lived while thinking "I didn't know I can live without fighting games" lol. **** At the Mahjongg palor, Daigo met Bonchan and Nyanshi, who is the president of Topanga. Bun-Bun-Maru: Like "Oh, I can live an ordinary life?" lol. Daigo: Yep. By the way, I got fat during that period. Cuz, when I had free time, I always drank lol. Kitaguchi-Toho-2hun: Like an athlete haha. Daigo: I was obese while I didn't play fighting games. But I was like I didn't care lol. Bun-Bun-Maru: When having been away from games, you know, we can discover what we can't discover before. It's probably necessary. Daigo: Without fighting games, we're ordinary, aren't we. How to describe... ordinary haha. Bun-Bun-Maru: I know what you mean. You live ordinary life. Daigo: Really ordinary. In life without fighting games, there're things I'm good at as well as things I'm bad at, I mean I'm an ordinary man. But you know, I win freaking a lot in fighting games. So in game arcades, I'm sort of "special." I lived without that "special" for about five years and... though I was like "meh." After experiencing such a period, I realized that, as playing SF IV, like "oh? My gaming skills are great, aren't they" lol. Daigo: I could win that much even though I didn't play fighting games for that long years, and I was impressed when I realized I played fighting games super heavily in teens. Like "I still can play smoothly after five years' absence."